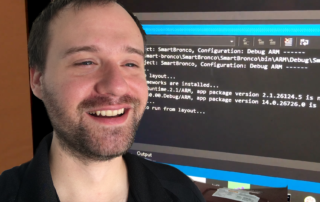 Getting code from computer to device is a little bit different from just developing an application all on the same machine. 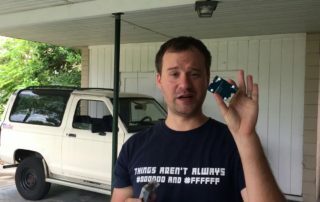 Here's how the pieces fit together to get code from an IDE to a device! What's a piece of hardware without the operating system to run it? When buying a new desktop computer, the decision often comes down to a few choices: Mac, PC, or Linux. With IoT, it's a little bit different. 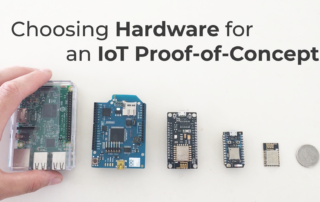 Choosing hardware to prototype with in the realm of IoT can be overwhelming. There are so many choices for so many use cases! How does one choose? 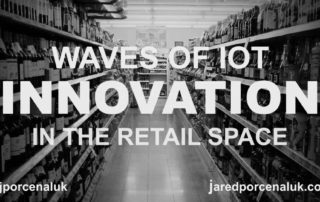 I recently had the pleasure of sitting down and consuming an entire bag of Doritos (don't judge me, it was like the $1.69 midsize version) while watching a webinar about the coming Waves of IoT Innovation in the Retail Space. Cue the 50's retro-cool mansplaining PSA. Microsoft has a bunch of tools labeled "IoT." What are their similarities and differences? Why would you choose to use one over another (and do they play nicely together)? Let's find out. Can Ubiquitous Computing and Minimalism Coexist?